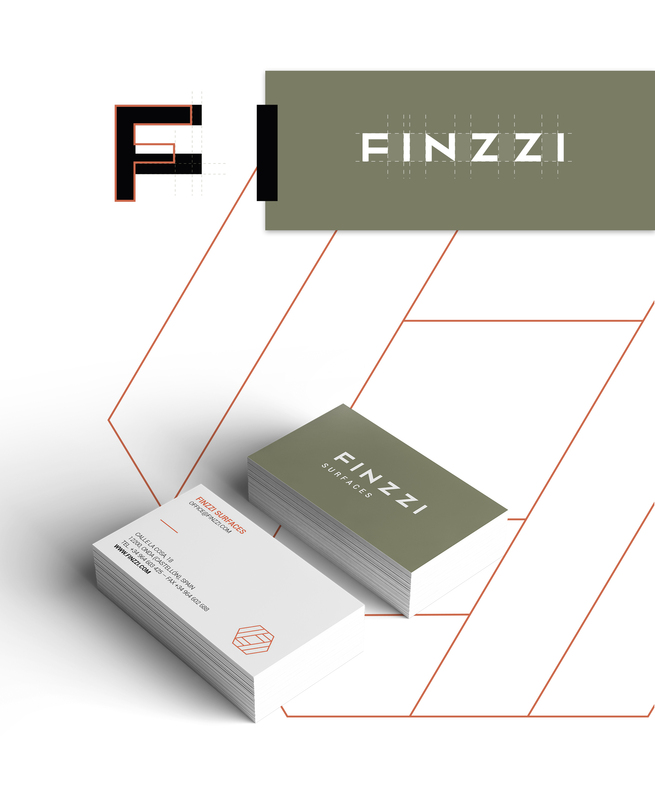 Embarking on a comprehensive branding process for Finzzi Surfaces we opened new paths for the company by creating their naming and developing its full brand identity. Finzzi is the new coverings brand with Italian heritage that brings to the industry a wide range of high performance and sustainable products. The naming we create for the brand has a more than evident Italian sonority and directs to design and art spheres. For the logo we decided to create a customized typo for the naming and also to create a symbol for Finzzi. It consists of a geometrical letter “F” which is duplicated to form a compact yet refined hexagon. That icon is presented in corporative orange and at some applications, specially printed ones, that colour is replaced by a copper colour. Green, black & white complete Finzzi’s palette of colours for its visual identity.